Learning how to solicit and utilize customer feedback is a crucial part of any customer retention strategy. Nevertheless, putting together an effective and useful customer satisfaction survey isn’t as straightforward as you might think. Learning how customers perceive and interact with your product, brand, and company is invaluable to future growth. The process of setting up a feedback collection strategy is a delicate one, so this guide will walk you through it. First, let’s look at how crafting an effective customer satisfaction survey can benefit your business. A customer satisfaction survey can allow you to be more in tune with your customer’s expectations, needs, and interaction with your brand. With this insight, it’s easier to make business decisions which align with customers’ priorities, and secure their engagement and loyalty. Use customer satisfaction surveys to gauge product adoption. If customers aren’t getting the most out of your product, or not understanding its potential, then they won’t succeed. Surveys can help you guide customers towards a full adoption of your services by highlighting how those services can enable their success, and thereby your own. The judicious utilization of customer feedback can influence your roadmap, your sales process, and your support strategy. Customer retention is of supreme importance to a viable business. Without repeat customers, your business will expend energy chasing new business. But how to retain customers when you don’t understand them and don’t cater to their needs? Surveys can help you identify customers who are at risk of churning, and understand why you’re failing to retain them. They can also positively influence your support strategy, by making recurring problems more evident. Once you’ve identified which pain points your customers repeatedly experience, they will be easier to resolve, for instance by providing customer self-service resources. The effect of your customers’ feedback will trickle down to your technical and support teams. It’s not all about mitigating churn and putting out fires, though. Feedback collection can also help you unearth your most die-hard fans. The customers that love your product and would heartily recommend it can be turned into brand ambassadors. There’s no publicity like a heartfelt, organic endorsement or a glowing review. This can be a formidable boost to your reputation, and help you secure even more leads. Listed below are the most frequent metrics measured with a customer satisfaction survey. Here’s a refresher course on how to measure them. The scale typically ranges so: very unsatisfactory / unsatisfactory / neutral / satisfactory / very satisfactory. The more respondents give a positive answer, the higher your score. The CSAT is very versatile and can be applicable to almost any customer service situation. Overall, it is most useful to track short-term changes in customer opinion, such as after the launch of a new feature. However, the CSAT won’t measure a customer’s overarching impression of your service. It fails to account for your company’s potential for growth, nor will it predict customer behavior. It’s an unavoidable metric, but needs to be contrasted with other analyses to carry much weight. NPS compensates for the CSAT’s lack of predictive power when it comes to customer retention. Detractors are more likely than other demographics to answer Nevertheless, it is rather one-sided, and can’t function as any sort of directive on its own. The scale usually goes from 1 (it was very easy and simple to handle my issue) to 5 (it was a monster headache). The lower your score, the better. The CES measures the correlation between increasing customers’ loyalty by saving them time and effort. Past a certain point, the results of striving to enchant customers hit a ceiling; the latter prefer to be given an easier time than a more delightful one. Since this question is open-ended, you can add a comment box to let the customer nuance their position. This will let you better pinpoint areas needing improvement. What does a customer satisfaction survey look like? There are many ways to collect customer feedback, of varying degrees of depth, precision, and actionability. These customer satisfaction surveys target the customer when they are in the process of using your product or service. This kind of survey has the potential for a high response rate as well as useful insight, since the customer’s experience is reported upon in medias res. However, they need to be noninvasive and to-the-point, lest they distract the user from their experience and falsify the results. Consider a single question or a clickable pictogram, at most. A post-service customer satisfaction survey plumbs the customer for their opinions right after they make a purchase, return a product, scale up, or interact with sales or support. They can be conducted over several channels, but should always be coherent with the service or interaction they follow up. These surveys are related to a specific facet of your customer service, so they can get away with being varied and going a little more in depth. Nevertheless, beware of taxing the customer too much additional time and good will. Social media monitoring is relevant when your brand has a social presence. If you respond to customer service queries on social media, it’s important to monitor that area. You can present your users with polls and knowledge resources. Some software allows you to surveil the discussion of your brand on social media platforms such as Facebook, LinkedIn, or Twitter. This lets you follow public opinion of your brand and respond to questions and issues in a timely fashion. This is a way to reach out to customers of your own volition, and engage them on an important topic. Most often, companies carry out these campaigns over email. In order to up your response rate, make sure to segment these campaigns cleverly: solicit a specific type of customer and ask them precise questions. Reaching out to customers one-on-one is more personal than asking them to fill out forms, so take the time to go into some depth. Enquire about their habits, understand their interaction with your product, or gauge their interest for a potential new feature. Comment boxes give customers a chance to send you feedback whenever they need to. They can be as specific or open-ended as you like. But make sure that when a customer goes to the trouble of sending you useful feedback you don’t ignore it. If a customer has a real problem, they’ll get in touch with support; therefore comment boxes are for small, immediate annoyances. Make them unobtrusive so they don’t interrupt a customer’s use of your website, but visible so they don’t have to search long to find them. Likewise, this isn’t the time to ask customers to tick multiple choices and fill out forms: keep the format simple, a simple box will do. No matter which form your customer satisfaction survey takes, here are some tips and guidelines to maximize its response rate, usefulness, and efficiency. Before you set off on a customer feedback collection journey, you need to know what your business hopes to get out of such an endeavor. Do you want to decrease customer churn? Get feedback on a new feature? Improve your product? All of these are laudable goals, but they represent different paths. If you set off with a vague idea of what you hope to accomplish, your campaign won’t be very productive. Start small, either with a restricted customer base or with small changes to your website. First, this will make the amount of data you collect easier to process, but it will also be easier to tweak your collection methods as you go. Keep feedback condensed at first. Feedback collection is a constant process: start small and grow in complexity as your methods become more refined and effective. As you collect more data, use it to make informed decisions, then use that data to monitor how the changes you’ve made affect your customers and your bottom line. The cycle of feedback collection, analysis, and implementation should become a loop of continuous improvement and customer satisfaction. The first rule of a successful customer satisfaction survey is that it shouldn’t waste your customer’s time. Keep the design simple: include a legible font size, intelligible pictograms, and an interface that is easy to navigate. Keep the message simple as well. Stick to precise questions, going from more open-ended to more specific, bearing in mind how long you expect the customer to take to answer them. Try to avoid hypotheticals as well as potentially confusing sentence structures. Consider the previous sentence. You might think it an efficient and concise turn of phrase, but really it’s more confusing that anything. What if the user found it quick but confusing at first? Craft your questions to be as straightforward and precise as you can. Not only will the customer have an easier time answering them, but the feedback you collect will be more useful to you as well. Asking for and receiving honest feedback is a difficult exercise at first. You may be tempted to disregard inflammatory responses, or to craft leading questions to avoid negative feedback. This isn’t helpful in the long run. If your customers find the questions disingenuous, they won’t answer. Besides, dishonest feedback won’t serve your business’ growth in the long run. A commitment to transparency is key. 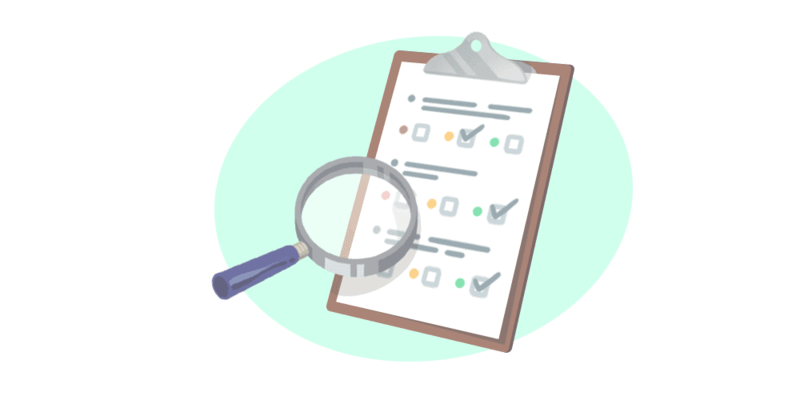 If you’re struggling to come up with well-composed customer satisfaction survey questions, you can find ready-to-go templates online. Or you could ask an outside consultant to weigh in, who will be sure to remain impartial. The timing of your customer satisfaction survey is crucial. We explained above the value of scheduling surveys after a purchase or an interaction. In short, surveys should accompany the entire customer journey, by being present at key moments in a customer’s relationship with your company. This means after signup, after a purchase, before churning, after logging in for the first time in a while, etc. If you ask relevant questions at these key moments, customers will be more likely to respond since they will feel qualified to answer questions about an experience which is fresh in their mind. Try to add value to your surveys, so they aren’t another pain point. For instance, get your support representatives to ask a few quick questions right after solving a customer’s problem. Most likely, you just got them out of a jam, so they’ll be happy to oblige. Old, new, returning, etc: all customer types can teach you something about your process from their habits and expectations. Picking the right target is just as important as picking your moment, however. The outlets you make available to everyone (such as a comment box or a generic NPS survey) will mostly be utilized by outliers. You’ll get to hear from the happiest and most dissatisfied customers. That is valuable in its own right, but you’ll also need ways to hear from less polarized users. Segmenting customers according to their size, activity, and habits will give you both a higher response rate and more qualified data. This qualified intelligence will allow you to make informed decisions on scales of varying scopes, and continuously refine both your business tactics and your feedback collection loop.